Ice Melts Faster! Proof of the scalar pendant ! Using advanced nanotechnology know-how, with natural minerals structurally bonded together, the Scalar Energy Pendant restores balance and harmony to the body. 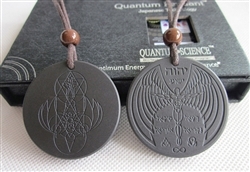 The Scalar Energy Pendant is tested to emit FIR, scalar energy and negative ions, and contains Germanium 99.999%. SCROLL DOWN TO READ MORE !!!! What is the Scalar Energy Pendant made from? Most power Powerful Pendant !!! WATCH THE DOCUMENTARY TO THE RIGHT AND YOU WILL KNOW WHY IT IS SO IMPORTANT TO HAVE PROTECTION - FROM RADIATION. This pendant by far is the most powerful pendant out of the scalar range. view it in our shop for added detail. The Scalar Energy from this phone chip will strengthen the body's biofield preventing electro-magnetic waves from affecting one's health. 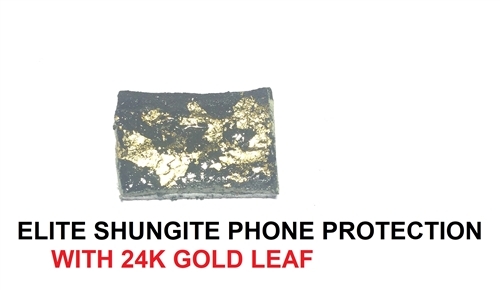 It is the ultimate first-line defense against electro pollution, it can be used on any appliance or device emitting electromagnetic frequencies (EMF) or electromagnetic radiation (EMR), such as mobile phones, home phones, cars, microwaves, computers, game consoles, home appliances, etc. If it plugs and plays on DC or AC currents, protect it with Scalar phone chip. Our bodies are made of energy. To achieve and maintain vibrant health, we must protect our energy frequency and flow (or circulation) throughout the body. The principles of energy medicine originate from quantum physics. Everything in the universe is made of energy. Like all matter, the human body is not just made up of physical and chemical structures, it also has subtle energy fields known as bio-energy. We continuously radiate, absorb and conduct frequency waves of energy. Bio-energy is crucial to life and is sometimes called "the biofield", "vital energy", "aura", "Qi" (Chinese), "Prana" (India), "Mana" (Polynesian), "Barraka" (Islamic), "Ki" (Japanese), etc. To attain and maintain vibrant health, we must protect the vital bio-energy flow throughout our body. It must be free-flowing, and in perfect vibration or frequency. Any disruption or imbalance to the bio-energy pathways or "vibrations" can lead to disharmony, ill health and disease. The total length of the blood vessels in the human body is 60,000km long! Imagine blood having to travel that distance every 7 minutes to deliver oxygen and nutrients to all the cells, and to remove waste material from them. Numerous studies have shown that FIR dilates capillary vessels, thus facilitating blood circulation for better oxygen and nutrient delivery, and also allowing for more effective toxin removal. Some toxic gases, including carbon dioxide, or heavy metals like mercury and chlorine are easily trapped in large water clusters in the body. FIR causes the water molecules to vibrate, resulting in the breakdown of their cluster size. Consequently, trapped toxic waste gases and other toxic materials are released, and ultimately flushed from the body. Together with the improved circulation, the reduced water cluster size in the body will result in improve cellular function, better energy and vitality. For people who suffer from aches and pains, FIR offers the welcome relief of improved flexibility and mobility, as well as the disappearance of pain and stiffness. Ever wondered why the air feels more invigorating and you feel fresher when you are at the waterfall or in the mountains? This is due to the abundance of "feel good" negative ions in the air. Research has confirmed the beneficial effects of negative ions on living things - plants grow faster and healthier, animals are calmer and perform tasks better, and humans become less stressed and more alert. Negative ions have been found to facilitate the delivery of oxygen to cells, which stimulate bodily functions and rejuvenation. They also increase the flow of oxygen to the brain; resulting in higher alertness, decreased drowsiness, and more mental energy. Studies have also shown that negative ions help to lift mood, alleviate depression and stimulate body's reticuloendothelial system: a group of defence cells in our bodies which marshal our resistance to disease. The above image shows blood cells microscopically before and after wearing the Scalar Energy Pendant. The blood cells in normal people usually clump together as shown in the photo on the left, resulting in a reduced supply of oxygen to the cells in the body. After wearing the Scalar Energy Pendant, the blood cells unclump, and oxygen is effectively able to be delivered more effectively to the body, resulting in better energy and improved health. The enhanced blood flow in the body is also evident in the thermal imaging photos shown below. Wear the Scalar Energy Pendant over the neck or chest. To use the pendant therapeutically, place it directly on the affected bodily area (e.g. knee, back, shoulder, ankle, etc.) to relieve stiffness or soreness. Place on the forehead to relieve headache and for relaxation. Place over the abdomen to relieve period pain, bloatedness or stomach ache. Place the Pendant at each of the four corners of your bed to create an energy field. This energy field can help to energise you while you sleep. You’ll sleep better and wake up feeling fresher. lace the Pendant underneath your skin care bottles to improve their absorption and efficacy. Place the Pendant underneath your skin care bottle to help break down the molecules of the ingredients for better absorption. Leave the Pendant in your refrigerator to lower the temperature and keep food fresher longer. Tests show that leaving the Pendant in the refrigerator can keep fruits and vegetables fresher longer. It can also lower the temperature so you can save electricity. Water your plants or fill your flower vase with water energized using the Scalar Energy Pendant to keep your plants healthy, and flowers fresh longer. Children and athletes who wear the Pendant can improve their energy, flexibility and concentration levels. Children who wear the Pendant have improved mental focus and perform better in class. Athletes can achieve better performance with improved flexibility and concentration. The elderly enjoy better balance and stability when they wear the Pendant. This test shows that after wearing the Pendant, you are better able to balance yourself. : none; ">	Place the Pendant in your aquarium to keep your fish healthy. Place the Pendant in your aquarium to keep your fish healthy, more energetic and their colours more vibrant. Try the tests below and see how the Scalar Energy Pendant can improve your flexibility, strength and balance. Stand straight with both legs slightly apart. Extend your right arm in front of you, 90° perpendicular to the body, while making a fist with your thumb pointing away from you. Slowly turn your upper body in a clockwise position as far back as you can reach. Note the farthest position you can reach. Repeat the test wearing Scalar Energy Pendant. With Scalar Energy Pendant, you'll be more flexible, and able to turn your body farther. Stand straight with both legs slightly apart. Slowly bend over, reaching as far down as you can to touch your toes. Repeat the test wearing Scalar Energy Pendant. With Scalar Energy Pendant, you'll be more flexible, and are able to bend farther down. Stand straight with both legs slightly apart. Place both hands straight behind your back with fingers in an interlocking position. Get a friend to press down on your interlocked fingers as you resist with all your strength. Slice a lemon. Place one slice on a thin plate with Scalar Energy Pendant underneath. Place another slice on a plate without the pendant at least 3 feet away from the other plate. Set them aside for 20-30 minutes. Taste and compare the lemon "treated" with Scalar Energy Pendant and then taste the "untreated" one. The "treated" lemon tastes significantly less sour. This proves that even without being in actual contact with the lemon, the energy in the pendant is able to change the molecules in the lemon. Repeat with liquor, soy sauce, and salt! You'd be amazed that they taste or smell different. The Scalar Energy Pendant comes in a gift box with an authenticity card to satisfy your peace of mind for genuineness of this product.